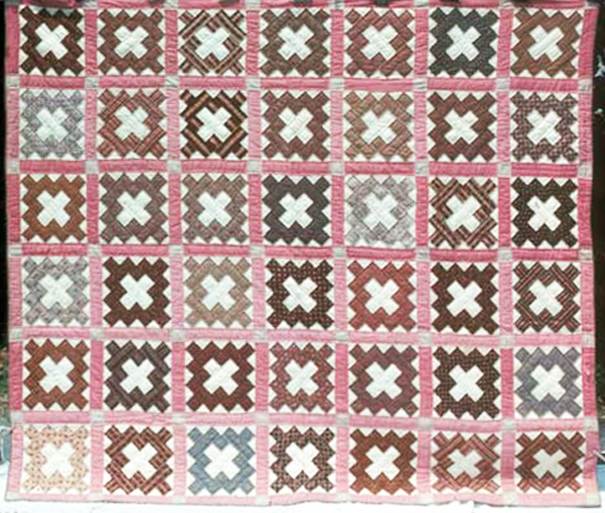 Quilt in the popular album pattern known as Chimney Sweep. family thought it might have been made in Lexington, Kentucky. 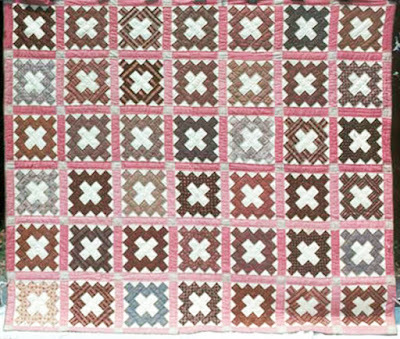 For my 2018 Block of the Month Antebellum Album I've been looking for examples of regional signature quilt styles before the Civil War. Strangely, I am very short of examples from pre-war Kentucky. 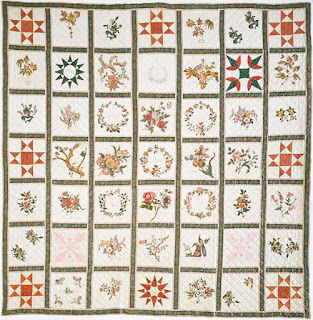 In fact, my entire picture collection of friendship style quilts attributed to Kentucky between 1840 and 1860 is shown above. 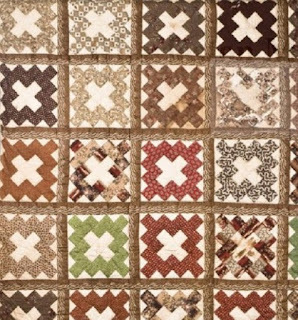 I did find a few Kentucky quilts in traditional album designs like the Chimney Sweep, but they were made long after the Civil War. 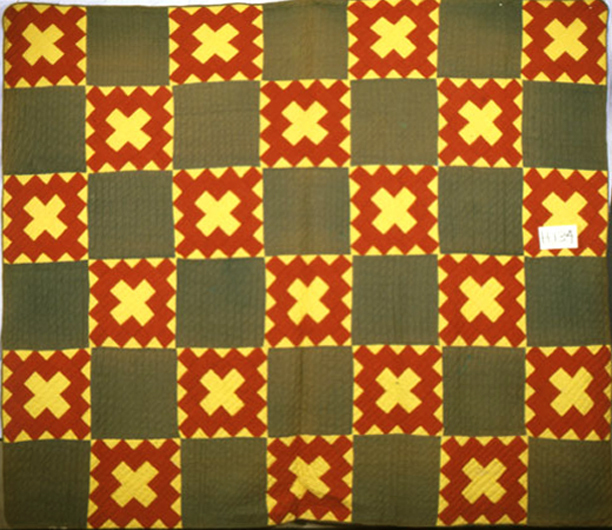 Quilt attributed to Elkton, Kentucky, found in Quilts of Tennessee. And I really do not see any evidence that anybody signed these blocks. How can this be? 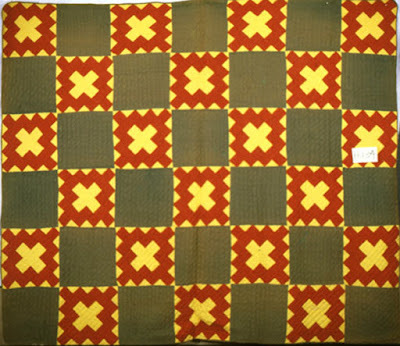 During the hottest phase of the signature quilt fad there were plenty of quiltmakers and quilts being made in Kentucky. 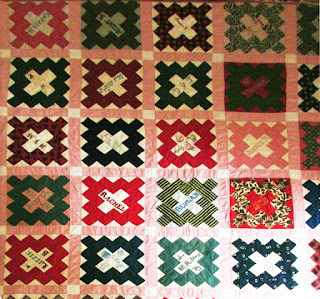 In 1850 Louisville with over 43,000 inhabitants was the 14th largest U.S. city, larger than Newark or Rochester, where EVERYBODY was making signature quilts. Kentucky had 982,405 residents in 1850 and no one got up one morning and said I am going to make some blocks and get my friends to sign them? Made in Kentucky about 1900 by Jessie Cummins. I checked many sources for the elusive early Kentucky album. 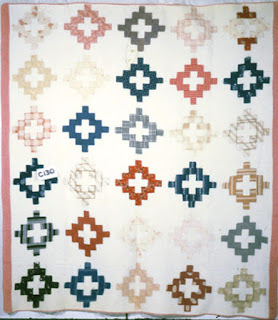 The Kentucky Quilt Project was my first idea. I looked through the book Kentucky Quilts by Finley & Holstein and looked at every quilt made in Kentucky on the Quilt Index. 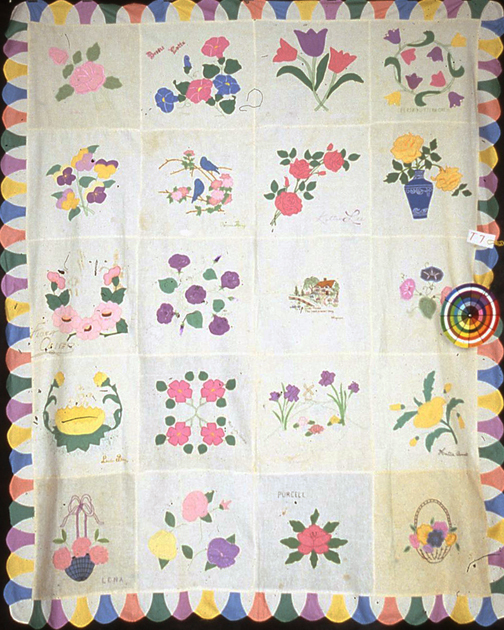 Mary Washington Clarke in her book Kentucky Quilts mentions Friendship Quilts or Presentation Quilts, but the earliest she describes in dated 1896. Mid-20th century album with signatures on the blocks. Ada Belle Guthrie Bryson, Western Kentucky University. Here's a great quilt at the Speed Art Museum. 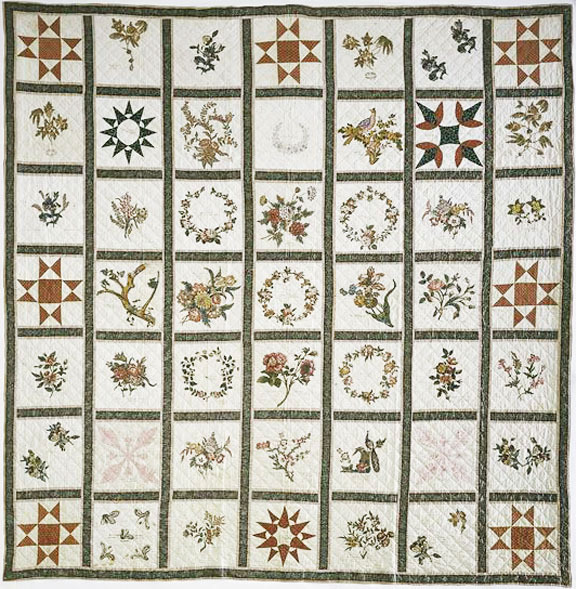 "Sampler Quilt, about 1885, Possibly New York." And I did websearches for words like Kentucky album, Kentucky signature, sampler, friendship, etc. They were certainly making quilts in pre-Civil-War Kentucky, but not album quilts. 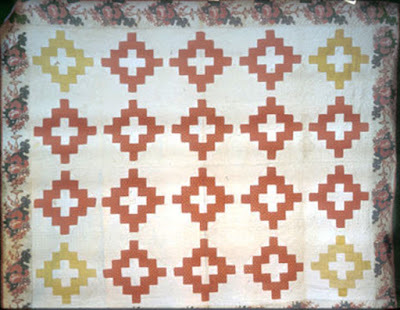 Go to the Quilt Index and search for quilts made in Kentucky. 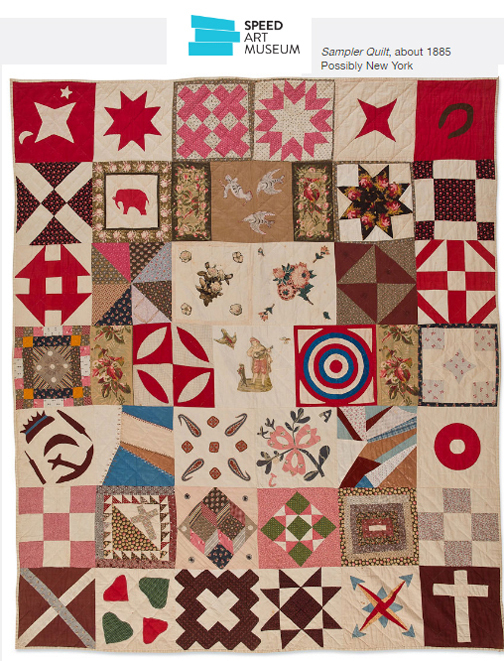 You'll see 945 quilts, which will keep you entertained for quite a while. 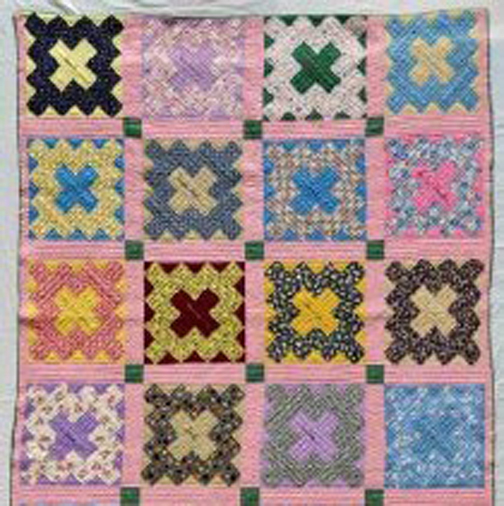 Can anybody come up with a signed, friendship-style quilt made in Kentucky between 1840 and 1860? Perhaps they moved westward and some how missed being identified as Kentucky quilts. Were the inks used then always permanent? Is it possible that some signature quilts lost the signatures when laundered? And then any slight marks left are assumed to be stains from age, rust, etc. I know that my ancestors from Kentucky could not read or write before the civil war. I wonder if that has anything to do with the absence of signature quilts. All those ideas are good. 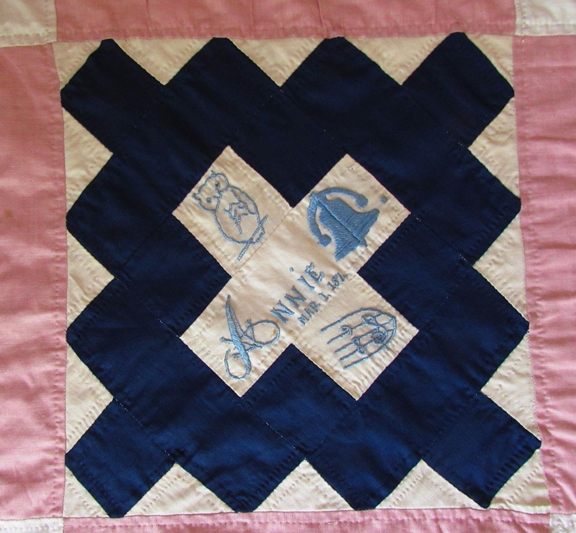 If you can't write your name you can't sign an album quilt. But there were many upper class, educated people in Lexington and Louisville and I haven't found any from the cities either. 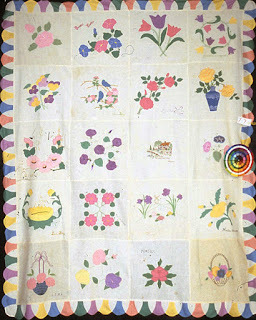 The signature quilts often do lose their ink----but all of them???? And Kentuckians did move west, but people often signed their home when they signed their blocks. Couldn't find many mid-19th century Kentucky albums in Indiana and Missouri---the places they moved to. Could it be a matter of timing? By the time the signature quilts trend got to Kentucky, maybe enough people had moved in from other areas and declared them old fashioned and out of style. Or not enough people moved into the area to bring the idea to Kentucky while they were in fashion? Or maybe it was one of those "it's just not done" regional things. But yet, I can't see there being no Kentucky quilters who wouldn't buck the trends and do quilts that were out of style. 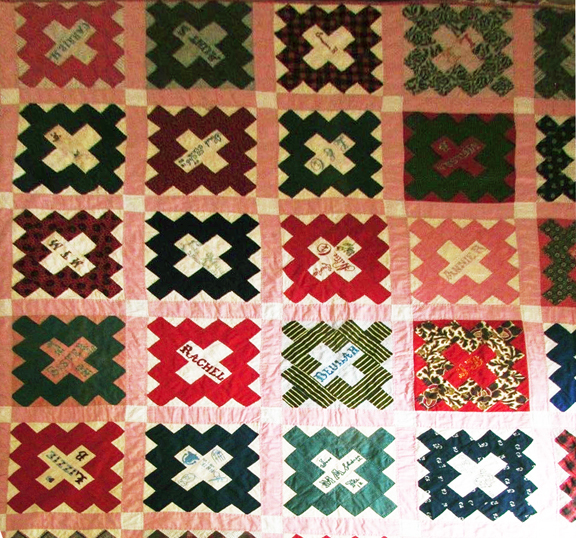 And as you say, it's not like Kentucky had no major cities with well educated and well travelled quilters. If Kentucky quilters were making signature quilts before the Civil War, I wonder how many might have been destroyed during & after the war. Maybe they just got all used up and there was not much left to save? I wonder if that has anything to do with the absence of signature quilts.